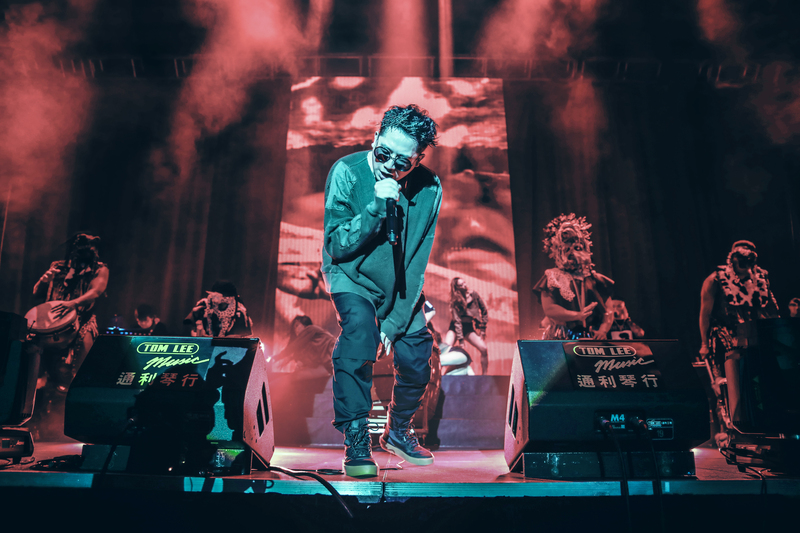 MastaMic, or Master of Microphone, might be a Hong Kong-based rapper who spits in Cantonese but his lyricism, beat selection and flow can be appreciated by anyone. The 32-year-old recently released his new album MASTAPIECE in March this year and is also working with Chang as part of its UrbanPulse campaign. Aimed at celebrating the kinship between pioneers of the hip-hop scene who are dedicated to their craft, the campaign will come to life in a limited edition fashion collection and a series of live events. The first will be on 13 July at JinJuu Hong Kong. We chatted with MastaMic on the evolution of hip-hop in Asia and his collaboration with Chang. Hip-hop originated within the African American community as a form of expression for them to talk about their struggles, etc. What would you say to people who say that hip hop as an art is not relevant to Asia since we never faced that struggle? It’s true that we haven’t faced the same struggles, but in this market, we have our own struggles and issues that we face. That’s the great thing about music and hip-hop. It’s a way for different communities and cultures across the world to express themselves and share their own problems and feelings to a global audience. The innate culture of hip-hop – to share, collaborate and connect – is what I love, and I think that’s just as relevant for Asian communities as it is for African-American, and all other cultures. How did you get your start in hip-hop? I started listening to hip-hop when I was in secondary two. A track by Eminem had just made it big but at that time, there was no rap scene in Hong Kong – so I had no idea what I was listening to. All I knew was that it felt like something connected. I couldn’t tell you if it was the rhythm or the words but there was a connection. From that time, I started to learn as much as I could about hip-hop. However, it wasn’t until I started studying in Beijing that my career in hip-hop really began. I met a friend whilst studying who showed me around and we did a lot of clubbing together – at that time we were both students with really little knowledge of music. Meeting him and sharing this kinship was really how I got this start. From there, I started to write more. How have you seen the Asian hip hop scene evolve from when you first started until now? The biggest thing has been Asian talent starting to break into America. For years, it’s been a huge struggle for local talent to have that global platform, especially in the States. But more and more we are seeing them break through, which is great. I think it stems from the fact that artistes in this region are constantly trying to create their own sounds, which is refreshing. What are your thoughts on the rise of mumble rap and Soundcloud rappers? For me, it’s not an issue as I see hip-hop and rap as two different things. Yes, rap is part of hip-hop and has evolved from hip-hop, but it’s just one part of it. I think people within the hip-hop community can tell that difference and so, it’s not having too much of a negative impact. I also think that mumble rap and Soundcloud rappers come and go – it’s always been a trend – and whilst it’s not my cup of tea I think it’s okay as it’s a fad. What are your own plans for your career in the next decade? Through my label, I want to focus on supporting upcoming talent by providing them with the platform and resources they need to focus on developing their music whilst we handle everything else. As someone who has done it, I know hard it is when you’re first starting out – handling everything from promotions to developing the music itself – so I want to make sure new talent have the time and space they need to create great music. I want to make more albums and make my music more popular to reach more people in Europe and America, potentially by using Cantonese. Could you share with me how your collaboration with Chang Beer started? Chang’s focus on Lamiat – a Thai philosophy that focuses on the importance of kinship in developing your craft and driving success – spoke to me as an artiste. I also focused on friendship and the close connections I have with my collaborators and its role in developing and evolving our craft together and so the alignment with Chang was clear. I feel honoured to work with them. It’s such an authentic and strong brand within this market and across Asia. Together we’ve been able to create a platform to spread this message and take the art of hip-hop to a wider audience. If you had to encapsulate Asia’s hip-hop story in one sentence, what would it be? We never give up. Simple, but true. We have always struggled to break into the American market, but now we’re starting to see it happen and that’s because we don’t quit. We don’t give up. We’ve faced many struggles over the years but we’re starting so see the fruits of our labour and I am excited to see this continue to grow through our strong ties as artistes and kin and our sheer determination to never stop.